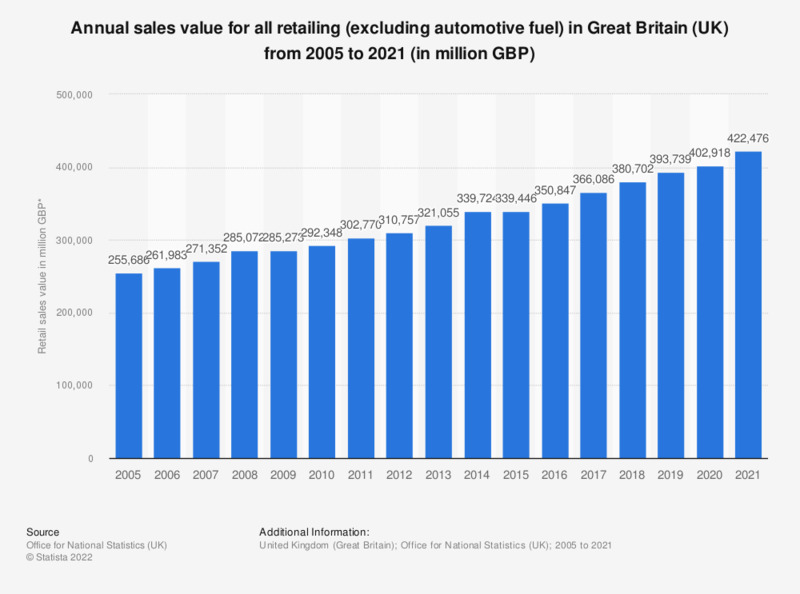 This statistic shows the total value of retail sales (excluding automotive fuel) in Great Britain annually from 2005 to 2017. Over the period, the amount spent in the retail industry has increased gradually, reaching 366 billion British pounds worth of sales in 2017. * Figures are value sales (amount spent), non-seasonally adjusted. Is Mega Monday the busiest day?